Honda has just given India’s first moto-scooter – the Dio – a new variant called the Deluxe. The Honda Activa-based automatic scooter’s Deluxe trim is priced at Rs. 53,292, ex-showroom Delhi. This price represents a Rs. 3,000 premium over that of the regular variant of the Honda Dio. 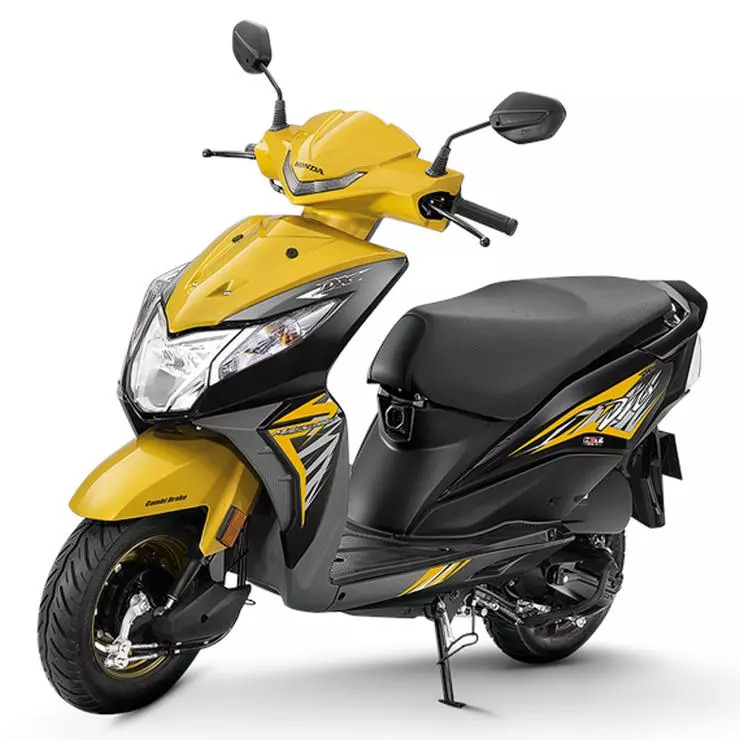 There are a slew of features that have been added to the Honda Dio Deluxe in order to justify the higher price. The automatic scooter now gets an LED headlamp, an all-digital instrument cluster, a 4-in-1 key with a separate switch to release the seat, gold finish for the wheel rims, two new colour schemes – Marshal Green Metallic and Axis Grey Metallic, and an optional underseat mobile phone charging point. Mechanically, the Honda Activa-based Dio Deluxe remains similar to the base version. What this means is, it is powered by a 110cc four stroke engine with 7.8 Bhp of peak power and 8.9 Nm of peak torque. Drum brakes are standard on both wheels, so are the combi-braking system and tubeless tyres. The Dio continues to be a popular choice for younger buyers, thanks to its sharp styling and key Honda attributes such as reliability, longevity and low maintenance costs. Competition for the Dio comes from the likes of the Yamaha RayZ and the TVS Wego. The scooter is in its second generation in the Indian market and is differentiated from the Honda Activa through styling, riding position and the body. The Dio is lighter than the Activa thanks to its fiber body. The Honda Activa has a metal body – a key attribute that pushes older buyers towards it. In terms of sales, the Activa is a much better seller than the Dio, which is more of a niche model in Honda’s automatic scooter line up. Therein lies the Dio’s appeal for it’s not as ubiquitous as the Activa.